All in one...Essential oil Aromatherapy Diffuser & Himalayan Sea Salt Lamp. Himalayan Sea Salt lamps naturally purify the air and look amazing when plugged in. Many of our local shop customers praise the benefits.. everything from reducing asthma, allergy symptoms, EMF protection especially when placed near computers, and keeping little one's in their beds at night. Now you can double the benefit with our small aromatherapy lamp. Just place your favorite essential oil into the small receptacle at the top of the lamp, and enjoy the essence as it is heated from the warmth of the bulb! >>>A lovely and beneficial addition to any home or work space especially yoga studios, massage and other holistic healing spaces. All Himalayan Salt lamps come complete with a rosewood base, stainless steel screws, UL listed cord with On / Off toggle switch, bulb. 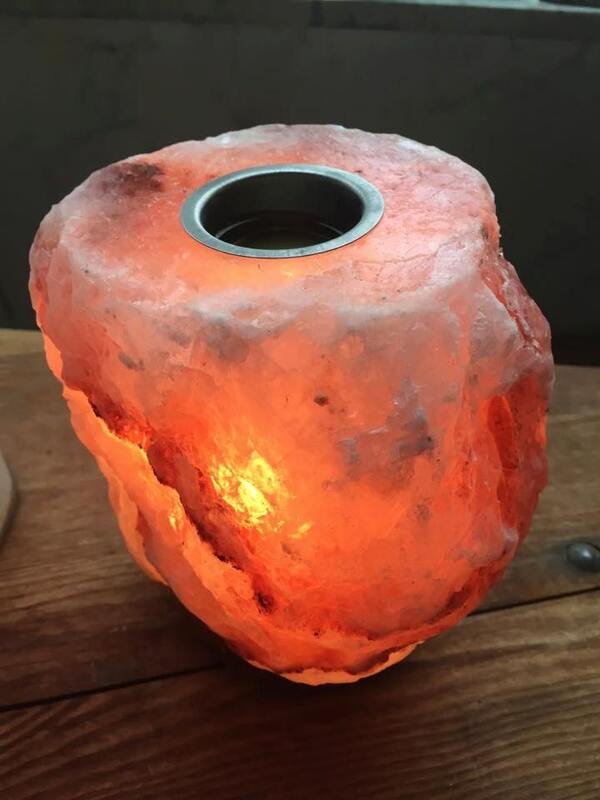 >>>Due to the nature of the natural salt rock each lamp will vary in color, shape & size. However, most lamps fall between the dimensions given below. Height: Approx. 6 - 7 in. Protection: Approx. 100 sq. ft.
Disclaimer the statements enclosed herein has not been evaluated by the Food and Drug Administration. The products mentioned on this site are not intended to diagnose, treat, cure, or prevent any disease. Information and statements made are for education purposes and are not intended to replace the advice of your family doctor. Very high quality. Quite beautiful. It's not that great as a oil burner but other than that I love it. It's a great size perfect for a desk or table side, also has controlled lighting for all time of night. Arrived in excellent condition; wrapped carefully! Thanks!